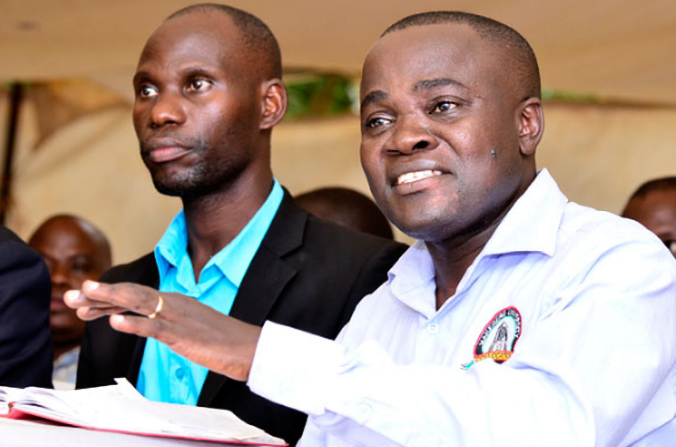 MAKERERE – Makerere University lecturers have vowed to go to court, challenging what they described as a careless law that gives the university council to fire staff deemed indisciplined. The university council has amended its human resource manual, giving it powers to dismiss or terminate the contract of a university employee deemed to be facing any criminal charges. But the chairman of the Makerere University Academic Staff Association (MUASA), Dr Deus Kamunyu, said that the law is intended at stifle freedom of speech, especially of staff who have stood against unfair policies that have been passed by management. “I wonder why a knowledgeable council could pass such a careless law without consulting the legal department. Whatever was passed is against the provision of the constitution of Uganda so we are going to repeal it since Makerere is not above the law to pass such laws,” Dr Kamunyu said. Some of the provisions of the new human resource manual, which was gazetted on November 2, include that “nothing shall be construed as prohibiting or restricting the appointing authority from exercising its powers to take disciplinary action against an employee who is facing criminal proceeding and subject such an employee to any form of punishment including termination, suspension or any other appropriate sections”. “An employee convicted of a criminal offence shall be deemed to have been summarily dismissed, however, an employees acquittal by the courts of law does not in any way affect the decision made by the employer during its internal disciplinary process,” the manual adds. In case an employee is suspended, he or she shall be on half salary until the conclusion of the investigation and disciplinary proceeding by employer. The law is viewed as aimed at taming vocal academic staff such as Dr Stella Nyanzi, who is battling charges of abusing the person of the President.